Trick or treat! Looking for a healthy alternative to the sugar-filled Halloween candies out there? Well, you’re in luck! 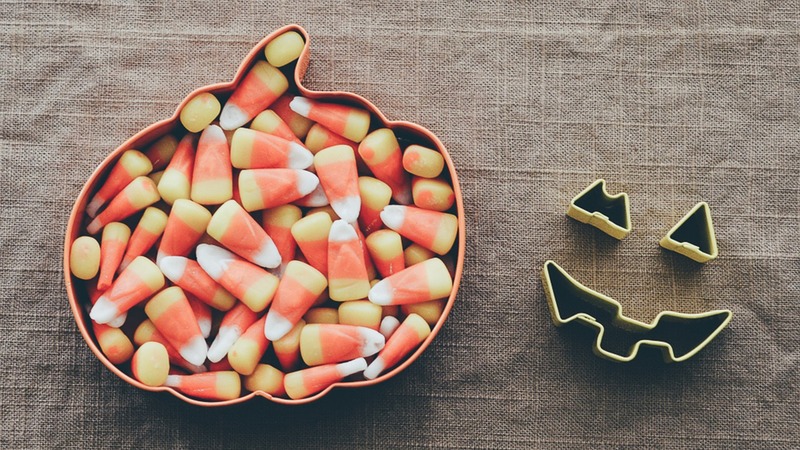 Rather than ignoring Halloween candy all-together, we put together a list of healthier options that children can still enjoy! Here are Dr. Erin’s top 5 healthy alternatives to Halloween candy (that kids actually like!). Smart Sweets are delicious candies that are free from added sugar, sugar alcohols and artificial sweeteners. All their ingredients are non-GMO and real! Smart Sweets are available at select Bulk Barns, Noah’s Naturals Foods and Foods for Life (for all our Bloor West neighbours). Shop their Halloween candy at www.smartsweets.ca. Surf Sweets Spooky Shapes are allergy-friendly and shockingly delicious! Their gummy candies are vegan and naturally flavoured. Surf Sweets Organic Spooky Shapes come in different Halloween festive shapes and are great to add to your candy bowl. They are made with real ingredients and are free of artificial colours and high fructose corn syrup. Give them a taste! Surf Sweets Wholesome are available at The Sweet Potato (our favourite Junction hangout). Visit their website at www.wholesomesweet.com. Tasty, nutritious and organic! These purees are perfect for babies and children. Love Child Organic purees offer squeezable, BPA-free pouches with resealable lids that are ideal for traveling. They are so tasty, even you’ll be tempted to try them out! You can buy them at select Noah’s Natural Foods, Loblaws and The Sweet Potato. Find the closest location to you by visiting their website www.lovechildorganics.com. Who doesn’t want to sip on a beverage mid-way through a long night of trick-or-treating? Honest Kids Organic Fruit Juice are a great way to deliver great taste without cane sugar. These juices are sweetened with organic fruit juice only! They’re delicious and easy for a grab-and-go drink! You can buy them at The Sweet Potato. Check them out at www.honesttea.com. MadeGood® Granola Minis are organic, gluten free and non-GMO. These wholesome bites come in 5 delicious varieties and make the perfect mid-evening pick-me-up! MadeGood® Granola Minis are packed with nutrition and flavor! They are easy to add to your Halloween candy bowl as they are individually packaged. Check them out at www.madegoodfoods.com to find the closest location to you. MadeGood® are available at Whole Foods, The Big Carrot, Noah’s Natural Foods, Organic Garage and Healthy Planet.